A wonderful island of Cyclades, between Serifos and Kimolos. 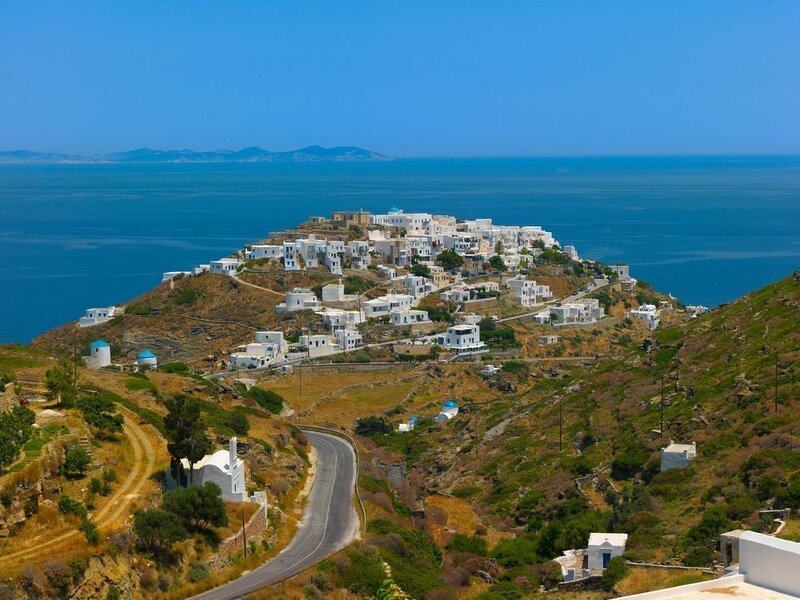 Apart from the exquisite capital of the island, Appolonia, the most beautiful traditional village of Sifnos is Kastro, the ‘castle’, built on the ruins of an ancient town, with a distinct Venetian atmosphere and architecture, as well as beautiful byzantine churches. Sifnos is an island with remarkable monuments, among which is the Mycenaean Acropolis on Saint Andreas hill, awarded by Europa Nostra, as a unique example of cultural heritage. 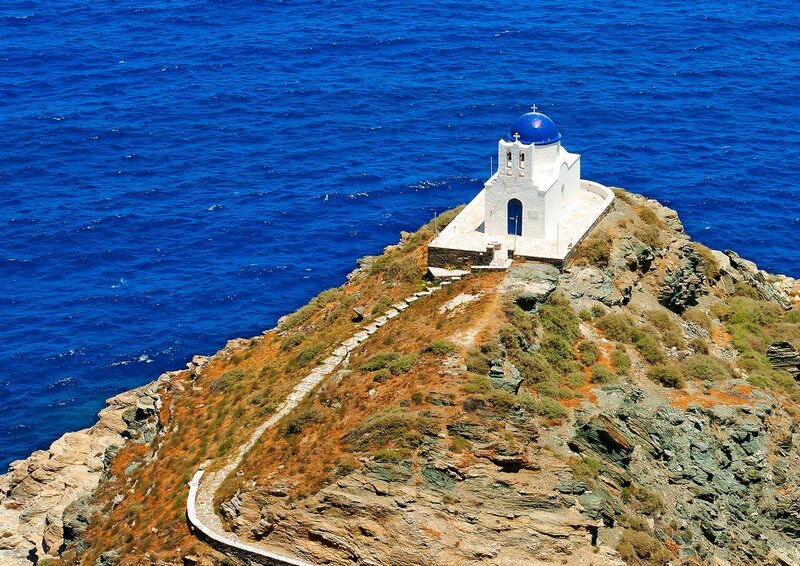 Τhe most beautiful chapel of the island, Chrysopigi, is surrounded by two lovely beaches, the sandy beach of Apokofto, and Saouras, a splendid beach with pebbles. Among its finest beaches are Glyfos, Fasolou, Faros and the popular beaches of Platis Gialos and Kamares.